The way we see it, the more we know about you, the better care we can provide. All of our patients like the personalized care they receive from our team and we take pride in the reputation we’ve built for being friendly, caring, and family-oriented. Please take the time to read the profiles of our dentists: Dr. Mohammed Shakeel, Dr. Bryce A. Larson, and Dr. David Min below! If you are ready to schedule your next appointment with Signature Dental Group or have any additional questions, please contact our staff at our Algonquin dental practice today! We are happy to also accept patients from nearby Crystal Lake and Lake in the Hills, IL! Doctor of Dental Surgery New York University College of Dentistry with Honors in Oral Surgery May 2002. Fellowship Awarded by International College of Oral Implantologists 2006. Diplomate in Oral Implantology Awarded by International College of Oral Implantologists 2008. Advanced Training in Bone Grafting and Harvesting Techniques by Dr Arun Garg. Zimmer Block Graft Technique certification. 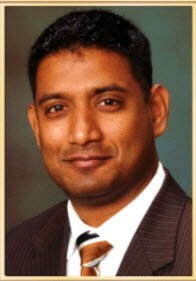 Dr. Shakeel is a graduate of the prestigious New York University College of Dentistry. In addition to years of successful General Dentistry Practice, he received advanced training in Implant dentistry. He has been awarded Fellowship and Diplomate in Oral Implantology by the International Congress of Oral Implantologists (ICOI) in 2007. 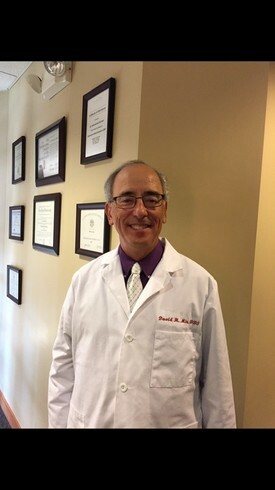 He is an active member of the Chicago Dental Society, American Dental Association and ICOI. His practice, Signature Dental Group focuses on advanced restorative dental care with an emphasis on aesthetic and functional rehabilitation of patients. A comprehensive treatment plan, meticulous attention to detail, commitment to excellence and focus on patient satisfaction are the cornerstones of Dr Shakeel's approach. Patients with loose or missing teeth, severe periodontal disease or tooth decay, are no longer condemned to ever wear a denture. With dental Implants, the entire dentition can be restored with fixed teeth in only a few visits with minimal discomfort. Dr Shakeel is also involved in pursuing the latest techniques in dentistry to cater to his patients in the best possible manner. Backed up by countless hours of continuing education courses and vast clinical experience, he can tailor treatment plans to fit every patient's needs and budget. In addition to his cutting edge techniques, Dr Shakeel's compassionate approach and charismatic personality, have led him to multiple successes garnering him with many loyal patients, including some who come from long distances. "It's worth the drive! "...they say. Received BA degree from Augustana College in Rock Island, Illinois in 1974. Received DDS degree in 1978. Established a general dental practice in Crystal Lake, Illinois from 1979-2014 (34 yrs). Helped establish Ideal Dental Care in Rockford, Illinois 2014-2015. Married for 35 years to Ann Marie Halwix. ( a teacher for 38 years w/ District 47 in Crystal Lake, Illinois). We have one daughter, Susan. She is a middle school teacher for the Franconian International School in Erlangen, Germany. Hobbies: Most athletics but especially golf.